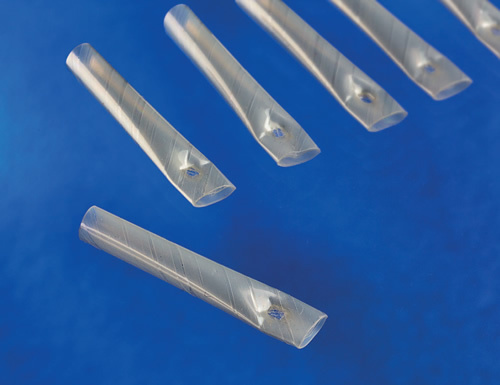 Micro-Dot is the latest innovation developed by Lamina, a super soft, flexible heat shrink internal tube that eliminates the problems of sharp edges and limited flexibility. The potential of sharp edges damaging sensitive wiring and limited flexibility affecting the manual fitting process is significantly reduced. With Micro-Dot the weld is very small and carefully positioned, so the flexibility of the tube in the area of the closure is unaffected. 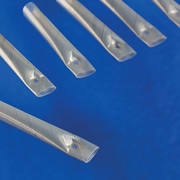 These caps have insignificant longitudinal shrinkage, so shorter, cheaper caps become an option.Furthermore, the manufacturing process requires less premium shrinkable film and so reduces the material cost of Micro-Dot, compared to conventional heat-shrink endcaps.